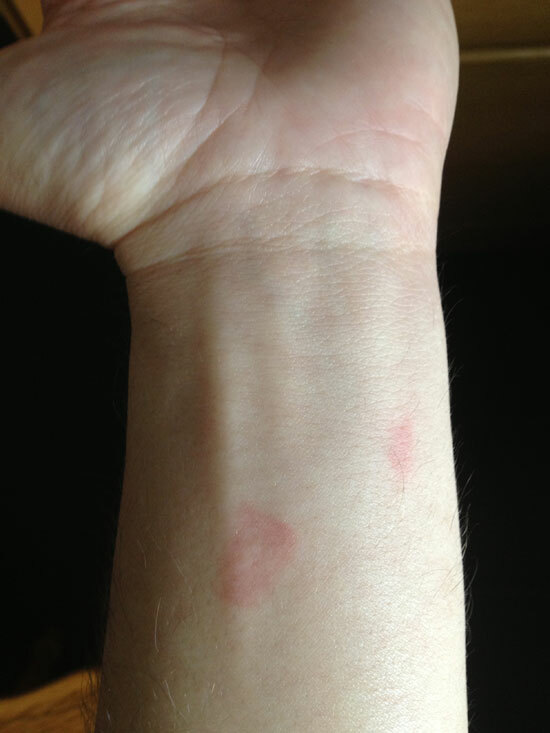 PHOTO OF MARKS ON WRIST TAKEN MORNING AFTER ENCOUNTER. Description: Thank you so much for getting back to me! I am really lost, but I am surely seeking answers, or some kind of closure. Everyday that goes by, I feel that I get more and more lost because of what happened. Here is what I pasted on many sites on the 29th, just a couple weeks ago when this all happened. Also, I am in New Jersey. This entry was posted in Abduction, Simple or without memory, Alleged Communication with EBE, Body Marks, UFO Sightings 2013, UFO Sightings New Jersey. Bookmark the permalink. Mormon tradition articles of the 19th century and the Bible speak of a time of great tribulation and warfare on earth between battling earth-armies, when the hosts of heaven or angels (perhaps UFOs) would hover over fleeing groups of people like huge umbrellas so as to protect them and lift them up to safety. In the Bible (St. Matthew 24), people are asked during a time of great tribulation and war to not flee back inside their houses but to get up on roof tops and mountain tops to be saved or possibly lifted up to safety (possibly by huge UFOs such as the huge UFO seen by many over Phoenix, Arizona, March 1997, one mile wide, and another huge UFO over the Klondike area near Alaska around 1986 and seen by a Japanese airliner crew). Mormon prophets of the 19th and 20th centuries say they with others will return to Missouri (the Zion center) from Utah during a time of great tribulation with angels hovering overhead to guide and enlighten them or a cloud by day and fire by night.